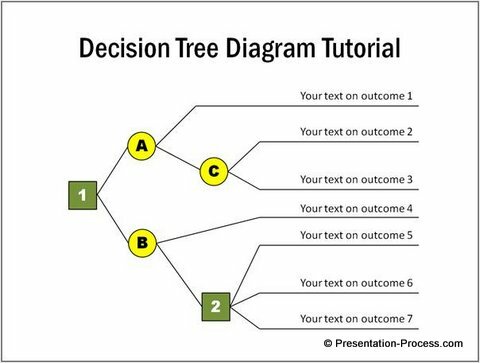 Learn to create a simple decision tree diagram using PowerPoint. 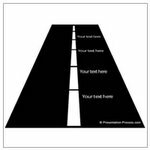 Find examples of interesting variations of the chart for your business presentations. Whether to enter a new market segment or not etc. The simple organization of ‘decisions and outcomes’ make it easy for the audience to understand the argument. 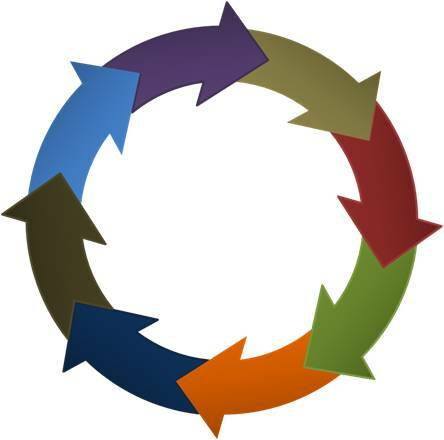 You can even use the diagram to conduct an elaborate ‘If –then’ analysis with your team. 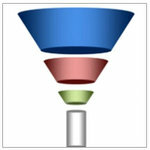 The diagram is quite easy to create in PowerPoint once you understand the components. Here is a quick rundown of the components of a decision tree chart. Chance nodes have uncertain outcomes. So, they are usually accompanied by guesses regarding probability of occurrence. We distinguish the nodes by different colors to make it easy for people to recognize the types. The outcomes are represented by lines. The nodes and lines provide different paths for the audience to visualize outcomes. 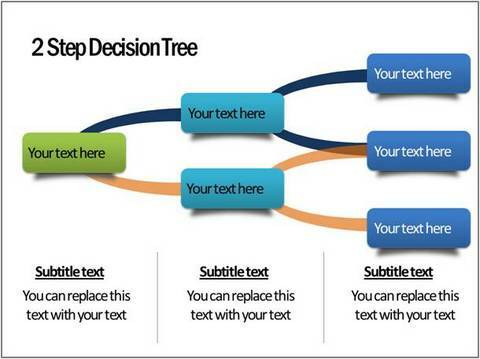 Usually decision trees are much easier for the audience to understand than flowcharts which have numerous symbols. 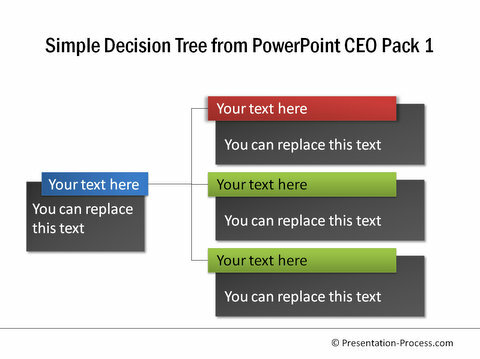 Why create decision tree diagram in PowerPoint? The single biggest reason to create the chart in PowerPoint is – you can use the power of custom animation to progressively reveal the outcomes at each stage. All you need to know is to pick and stick elements from auto shapes options to slides. The rest is fairly intuitive. 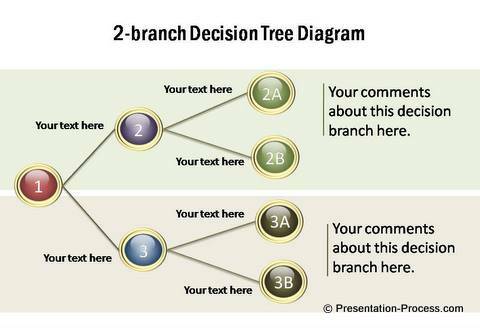 Here are some readymade decision tree diagrams that add a sparkle to your slides. 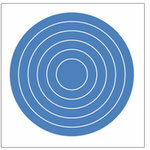 They are part of our ‘PowerPoint Charts Templates Packs for CEOs’. Professional quality business graphics are not easy to create. They demand a lot of time and effort from you. If you are too busy to invest the time needed to build your diagrams from scratch, we recommend you take a look at our ‘2 Volume PowerPoint Charts Pack for CEOs’. The two CEO packs have more than 1600 premium charts, diagrams, graphs and graphics to help you visualize every business idea imaginable. Just choose the template that matches your thought and replace the sample text with your own text. Your business slides get ready in no time. Creating professional presentations has never been easier. Why waste time creating your graphics and diagrams from scratch, when you have such high quality solutions available off the shelf? Please browse through our diagrams collection and see how the CEO packs can change the way you create your business presentations forever.